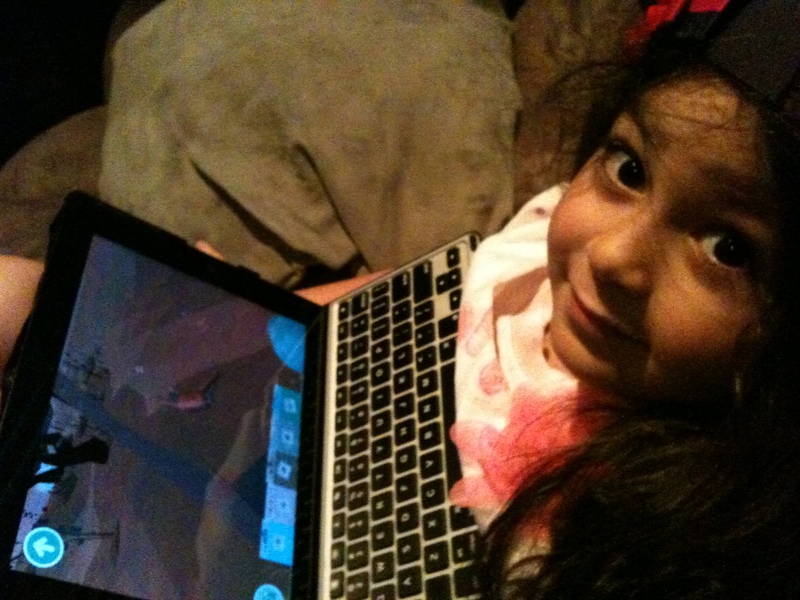 She adores this app, asking me for it every day. I can see why. The app is an addictive, Sims-like world building game. You shape your world with mountains, lakes, or rivers and populate it with various trees and animals, each of whom thrive in a different habitat and hunger for a different kind of food. You then follow the animals around, observing their movements and feeding them, collecting berries or mushrooms wherever you find them so that you can satisfy the animals’ individual appetites. You can even take photos of the animals you are observing, and these are saved instantly to your Camera Roll. When I downloaded the app, I played it myself first (as I always try to do) and found it difficult to put down! The graphics are excellent. he gentle, hypnotic background music helps to immerse you in the world of the app. You can literally spend hours playing with it. Like most Toca Boca apps, this is a wordless, completely open-ended app that can be enjoyed by the smallest kids. I liked that when my daughter played with it, she gave names to things and commented on things. At other times during our drive she said, “Oh, what a cute little birdie!” and “Come here, bunny, have some food.” It showed me that she was getting something out of it beyond just scanning a scene and looking at things. She was imagining herself watching the animals like a birdwatcher or a naturalist. She was also imagining herself interacting with the animals, playing “follow the leader” with the rabbit that kept hopping away. 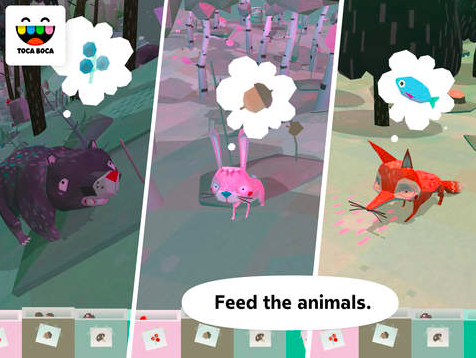 I think that kind of delight and awe of the natural world is something you don’t see often in apps for kids, and I’m glad to have found it in Toca Nature. Posted on December 12, 2014, in Apps and tagged AnnMarie Hurtado. Bookmark the permalink. Leave a comment.